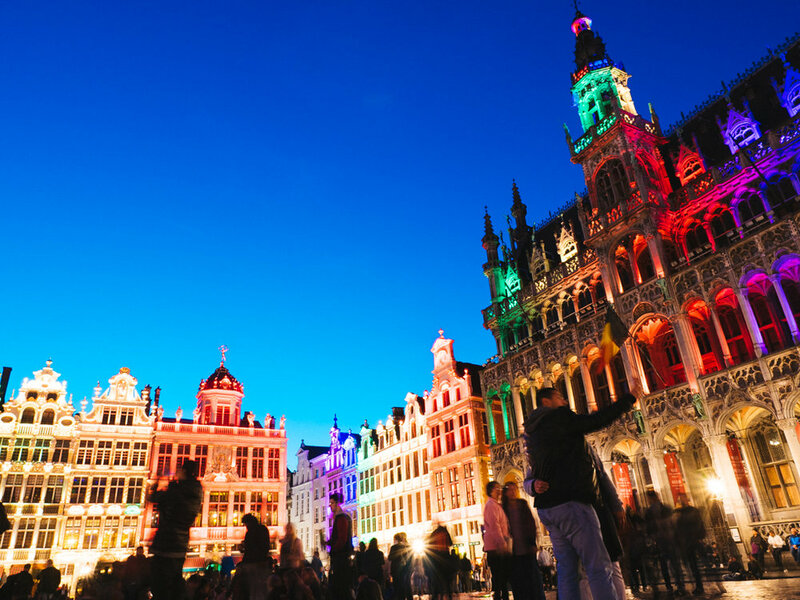 10 Things To Do In Brussels — Now That's a Honeymoon! The city of Brussels surprisingly became one of the best travels we've had this year. With its good food and even better beers, we undeniably grew a fascination of Belgium. Read more about our three-day trip, including spending a day in the city of Bruges. 1. Grand Place is a grand place. Pronounced as ‘grand-plaz’, it is the central square of Brussels. Surrounded by ornate guildhalls, Grand-Place is also a UNESCO World Heritage Site and the most famous destination in Brussels. There was a major event in Belgium when we visited, hence Grand Place in many colours! It was the most brilliant, amazing thing I've ever seen! 2. Join a free walking tour. Only if you want to, of course. We’re big fans of walking tours since it gives us a glimpse of the city, its history, and a free guide on the best places to check out. We booked our walking tour with New Europe and we covered all of Downtown Brussels in 3 hours, including a 20-minute break at a cafe bar! 3. See the awe-inspiring and monumental Mannekin-Pis. I suppose it’s Belgium’s best? 4. Adore the view at Mont des Arts. Also known as Kunstberg, Mon des Arts is situated between the Royal Palace and the Grand-Place offering one of Brussels’ most spectacular views. 5. Waffles and frites? Yes please! Our first take on the Belgian waffle was in a cafe and it was slightly disappointing. The waffle was light and there was just so much air when you bite on it. Our succeeding waffles were the €2 waffles from food trucks, which apparently were the real waffles. They were divine. They were soft to bite yet crusty on the edges, very filling and flavourful. And no, no need to add toppings. You wouldn’t need any! There's no shortage of frites in Brussels, there were so many shops to choose from! We ordered the specials and it comes with mayo, ketchup, and onions. REALLY, REALLY GOOD. Note that sauces (condiments) come with a fee. 6. 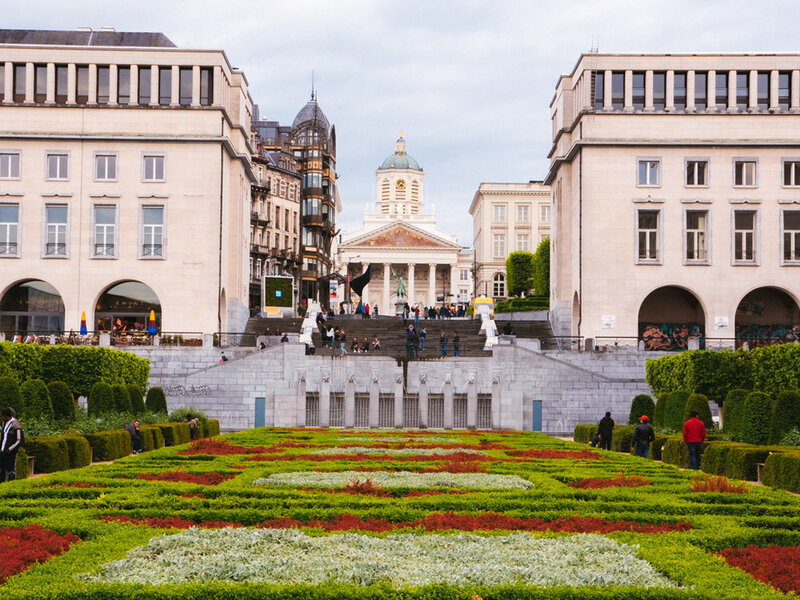 Explore and get lost in the endless winding streets of Downtown Brussels during the day… and also at night! 7. Life is a box of chocolates. You can totally bring out the sweet tooth in you in this city. Chocolatiers such as Godiva, Neuhaus, and Leonidas are widely famous for fine Belgian chocolates. We had our fill of both chocolates and hot chocolate drinks during our stay. You should, too! Check out these flavours! 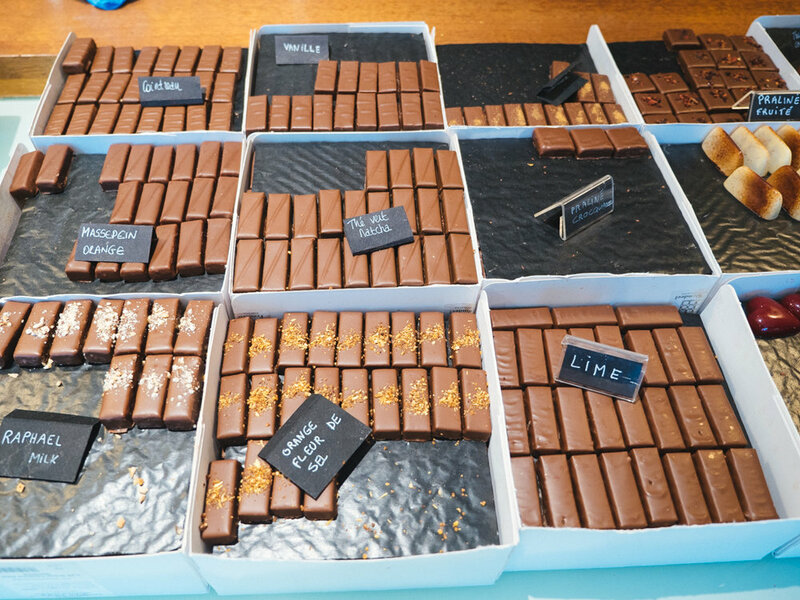 We passed by Chocopolis at downtown and had a few taste samples that ended up in getting ourselves a whole box. 8. In the mood for seafood. We had our best meal in Belgium at Noordzee Mer du Nor. Located in Place Sainte-Catherine, Noordzee is a 10-minute walk from Grand Place. Read our food review or better yet drool with these photos. 9. Get blown away with Delirium Cafe’s world record of more than 3,000 beers. You read it right - Delirium Cafe has the world's biggest beer collection! With three floors that offers different varieties, it was beer haven. We initially stayed at the ground floor where there were several queues. Tables sat close to each other, the wooden floors and tables gave the cafe an old, rustic feel. I have forgotten what we ordered, perhaps that's what happens when you've had too much to drink? The place was packed on a Saturday night - music on full blast (Bruno Mars was on while we waited our turn), it was a definite party scene. Downstairs was even more crowded and smelled of sweat, we barely got through the crowd before we decided to go back up! We headed to the more spacious second floor where we had the Caramel Fudge Stout. Insanely good at 12% alcohol. If you love beers, a couple of pints in Delirium Cafe is a must. 10. There’s more: Indulge in a Belgian beer degustation. It can be beers of your choice or a preset of 3 or 6 or more. There’s nothing as good as a beer tasting in Belgium. Just make sure you choose the right beers, or else you'll end up with the local-but-not-so-good options. For two nights we stayed at Hilton Brussels Grand Place. 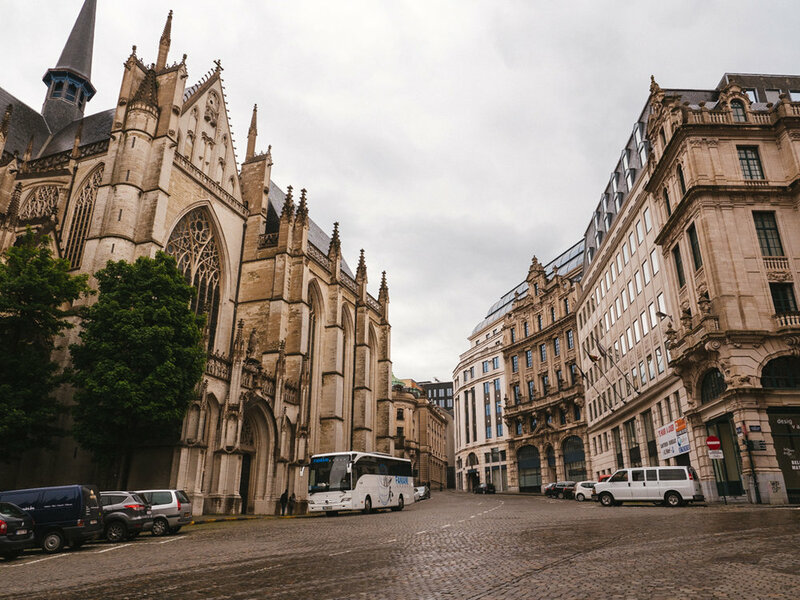 It's conveniently located 5 minutes away from Grand Place and basically walking distance to nearly all the locations we've written about in this post! Read our full hotel review and how the Hilton received us as honeymooners! PLAN YOUR TRIP TO BELGIUM WITH THE HELP OF OUR POSTS BELOW! Planning to visit Belgium? Check out the latest rates! Honeymoon ideas, inspirations, tips and reviews from a honeymooners point-of-view. WE are mentioned in the june issue of the sunday times travel magazine here in the UK!